Bouchard is a reminder that the evidence against a defendant must squarely conform to the statutory definition of the conduct that Congress has chosen to penalize. It also reflects the legislative shift that followed the mortgage crisis; as the Court noted, in 2009 Congress amended the statutory definitions at issue here specifically to include mortgage lenders such as BNC. Yet, as the Court stated, “[t]iming is everything: the conduct for which Bouchard was convicted occurred prior to 2009,” so the revised definitions did not apply to this prosecution, and defrauding BNC did not fall within the parameters of the relevant statutes. As seen below, the amendment to the statute was treated by the panel as a signal that this conduct was not criminal prior to the amendment. Bouchard was a lawyer who used his firm to run two fraudulent real estate schemes from approximately 2001 to 2007. Two of the principal lenders victimized by these schemes were Fremont Investment and Loan (“Fremont”) and BNC. At trial, Bouchard admitted that he knew Fremont was federally insured but he testified that he believed that BNC was not. His belief was correct, because although BNC was wholly owned by Lehman Brothers—which was federally insured and provided BNC with a “warehouse line of credit” to fund BNC’s mortgages—BNC itself was not federally insured. The Government did not present evidence that Bouchard knew BNC was owned by Lehman Brothers or that Lehman Brothers was involved in any of the loans. After a jury convicted him in the United States District Court for the Northern District of New York (Mordue, J. ), Bouchard moved for judgment of acquittal or, in the alternative, for a new trial under Rule 33 of the Federal Rules of Civil Procedure. He argued that the Government had presented insufficient evidence that BNC was a federally insured financial institution and, separately, that he would have been acquitted of all charges had one of his alleged co-conspirators, Kevin O’Connell, not submitted perjured testimony. Section 1344(1) criminalizes schemes to defraud, or schemes to obtain the money of, a “financial institution.” As noted, prior to 2009 the definition of “financial institution” included insured depository institutions of the FDIC but not mortgage lenders. Under § 1344(2), the Government must prove that the defendant intended to obtain any of the moneys or other property owned by, or under the custody or control of, a financial institution; that is, the Court explained, the defendant had “intent to obtain bank property” such that the defendant knew the property belonged to or is under custody or control of a bank. The Government argued that BNC may “loosely” be regarded as a bank or financial institution because it was “colloquially” one insofar as it lent money. The Court rejected this “novel argument,” emphasizing that a financial institution “is not a loose or colloquial term, but a term of precise definition that can lead to grave criminal consequences.” Citing Loughrin and decisions from the Seventh and Ninth Circuits, the Court continued that § 1344(2) should not be read to federalize frauds that are only tangentially related to the banking system: “particularly when bank subsidiaries may be engaged in activities far afield of the core functions of our federal banking system, it is important (absent legislative direction to the contrary) to distinguish subsidiaries of banks from the banks themselves.” Rather, Congress will—and has—amended the bank fraud statute to cover new conduct by new actors when it determines such conduct does directly affect the banking system. The Court noted that alternatively, the Government could have—but failed to—present evidence that Bouchard, through his experience in the real estate and mortgage lending industry, had knowledge that the money from mortgage lenders came from banks that fall within the definition of financial institutions. The Court also reversed Bouchard’s conviction under § 1014, which charged him with making false statements to a bank related to a transaction in March 2005. Section 1014 did not require the Government to prove that Bouchard knew that the bank to which he made the false statement was insured by the FDIC, but it did require the Government to prove he knew it was a bank to which he made a false statement in his loan application and that he intended to influence it. The Court concluded that the Government had failed to provide such evidence: the form Bouchard filled out for the transaction only listed BNC as the lender and did not reveal that Lehman Brothers would finance the loan. 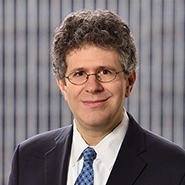 The Court also rejected the Government’s argument that Bouchard, based on his experience in the real estate industry, “must have known” that Lehman Brothers would ultimately finance the loan, such that his conduct satisfied the intent requirements under § 1404. The Government never presented such evidence to the jury, nor had it presented evidence of what a real estate attorney with Bouchard’s experience would have known regarding the connection between a non-federally insured lender like BNC and a federally insured institution like Lehman Brothers. Bouchard next challenged his conspiracy conviction under § 1014, which charged him with submitting false forms to three different institutions. Fremont was the only institution involved that was proven to be federally insured. Because he was acquitted on the substantive count involving Fremont, Bouchard argued the jury wrongly convicted him on a different overt act involving one or both of the two other victimized institutions that were not federally insured. The Court rejected this argument. “Without a special verdict form demonstrating that the jury convicted on a theory not supported by sufficient evidence, we can easily reconcile the jury’s verdict to acquit on the substantive count involving Fremont with its finding that an overt act involving Fremont occurred as part of the conspiracy.” For example, the different verdicts might “simply reflect the fact that the Fremont closing was attended by one of Bouchard’s paralegals rather than Bouchard, and the jury may reasonably have declined to find Bouchard guilty of the substantive count and simultaneously determined that his co-conspirator (the paralegal) committed the overt act charged in the conspiracy count.” The Court thus affirmed Bouchard’s conspiracy conviction. The Court determined that the District Court had not abused its discretion in denying Bouchard’s Rule 33 motion for a new trial. Although Bouchard’s co-conspirator, O’Connell, had admitted to submitting perjured testimony, the record reflected “ample independent evidence” proving Bouchard was aware of the fraudulent nature of his schemes. In addition, the prejudicial effect of O’Connell’s testimony was minimal, given that defense counsel had “strongly undercut” his credibility on cross-examination and that in its jury summation the Government conceded that O’Connell had not discussed the scheme with Bouchard. In a lengthy footnote, the Court provided a few guidelines for resentencing based on acquitted conduct. Citing precedent in the Second Circuit, the Court noted that a district court may treat acquitted conduct as relevant during sentencing only if it finds by a preponderance of evidence that the defendant committed the conduct. If the trial court bases its resentencing on acquitted conduct, it must ensure it first makes particularized findings “either that Bouchard actually committed the acts or that the acts of his co-conspirators were both foreseeable to him and fell within the scope of criminal activity to which he agreed.” The Court’s observations make plain that while the government is still permitted to prove sentencing enhancements based on acquitted conduct, the district court needs to make particularized findings in support of those enhancements. Although the statutes at issue no longer exclude mortgage lenders like BNC from their definitions, Bouchard is a reminder that courts will narrowly construe penal statutes. The decision provides a strong rebuke to construing defined terms by their “loose” or “colloquial” meanings, as opposed to the actual statutory language. While an outsider might see this as a reversal based on a “technicality,” in fact the opposite is true; the reversal is based on a failure to prove conduct criminalized by Congress (prior to 2009). The decision is also a reminder to the Government to present all available evidence; indeed, had the Government presented evidence of the alternate theories of knowledge outlined by the Court, Bouchard’s convictions may have been affirmed.